TL; DR: Chatbots and rudimentary artificial intelligence (AI) are becoming more commonplace in coordinating scheduling, paying bills, and resolving customer service issues. Unfortunately, in those capacities, the bots often appear not to know anything, or at least anything we need them to know. However, Akinator the Web Genie is a bot that can guess exactly what’s on your mind. 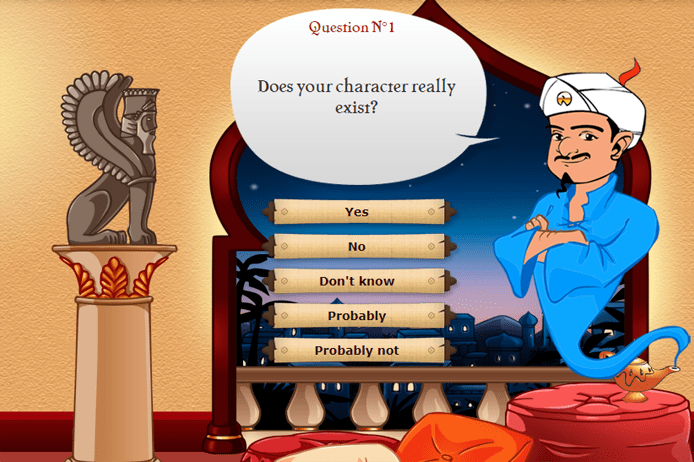 Think of a well-known figure, a real person, or fictional character, and answer Akinator’s simple questions honestly. In just a few minutes, the Web Genie will — almost without fail — correctly identify your character. And, on those rare occasions when Akinator can’t identify your choice, you are teaching it. It’s AI tech that, hopefully, represents the future of automated customer support portals, granting the wishes of millions of frustrated consumers worldwide. I recently tried getting help from my cable television provider via online chat to fix an error on my bill. My son had ordered Disney’s “Frozen” via pay-per-view — with permission (he’s a good kid) — and proceeded to watch the film three times within the allotted 24-hour rental period. What can I say? He obviously wants to build a snowman. Unfortunately, we were charged for each viewing. It was a simple billing mistake, I was sure, so I visited the cable company’s website figuring it would be quickly resolved. After opening a chat session, I was greeted by Greg, who asked for a description of my problem. After a few minutes, Greg greeted me again and asked how he could help me. It went on like this for 20 minutes with Greg, who was obviously a bot, misunderstanding my progressively more direct requests. Even a statement as simple as “my bill is wrong” seemed to confuse him. After the fifth “I’m Greg. How can I help you?” I disconnected and used the telephone to finally resolve the issue. Chatbots are everywhere, from customer service departments and utility companies to social media and lead generation. There’s even an entire magazine devoted to the subject. Akinator the Web Genie isn’t your average chatbot — the AI tech can guess exactly what’s on your mind. Unfortunately, as I experienced with my cable company, they aren’t always as smart as some claim. One exception is Akinator the Web Genie — a chatbot that’s been going strong since 2007 successfully guessing the identity of characters based on a user’s answers to questions. Akinator seemingly reads your mind. Through a handful of multiple choice questions, the Web Genie can guess with astounding accuracy what person you have in mind — either a real public or historical figure or a fictional character — and with far less trouble than Greg had with my simple billing problem. Once you land on Akinator’s site, the first step is picking your preferred language. Akinator speaks 15, which are available for selection from the drop-down menu beneath the logo. From there, playing is simple. Hold in your mind a well-known person. The individual can be real, fictional, current, or historical. Then click the Play link in Akinator’s speech bubble. First, Akinator will ask you for your age (not the age of the person you’ve chosen). Supply that and click the Play button again. Then you’re off with Akinator asking questions to ascertain the identity of the figure in your mind. Answer the multiple choice questions honestly, and Akinator will almost certainly astound you with a correct answer. Akinator’s guessing game starts with broad questions that get increasingly more specific as the bot reaches its conclusion. Some of the questions will seem odd. For instance, during one game, Akinator asked whether my character had ever dated Taylor Swift. It’s a fair question, I suppose. Following that, I was asked if my character was a member of the X-Men, and then whether he was a Founding Father. Answering yes and no, respectively — and “Don’t Know” to the Taylor Swift dating query — Akinator floored me by correctly divining the character I had in mind as Wolverine. He even showed me a picture of Hugh Jackman in his X-Men costume. Akinator was just as eerily insightful when the names I was thinking of were real, as in legendary baseball player Babe Ruth, the late musician Jimi Hendrix, and fictional characters, including Marty McFly from the “Back to the Future” film series, and even Queen Elsa from “Frozen.” This fun little 20-questions-style bot never guessed incorrectly for me no matter how odd the questions leading up to his answer seemed. Akinator, the Genie isn’t just web-based, and he isn’t just for adults. Although the main interface is the website, which boasts, as of this writing, more than 1.3 billion games played since 2007, you can also play against Akinator’s superior bot intelligence on any modern mobile device. Visiting the Akinator the Genie page gives you links to Akinator apps in the App Store and Google Play. The Akinator VIP apps, for $1.99, give you additional features, including no ads and no limits for playing. Akinator the Web Genie is available on most mobile devices and can be found in the App Store or on Google Play. Using the MyWorld feature, you can even challenge Akinator to guess your non-famous friends and family. Watching Akinator correctly guess my sister really makes me wonder how it’s possible Greg couldn’t understand my simple billing error. Akinator has also spawned spin-offs such as Akinator Safari and the multiplayer Akinator & Co. that allows teams to work together to stump the seemingly all-knowing Genie. 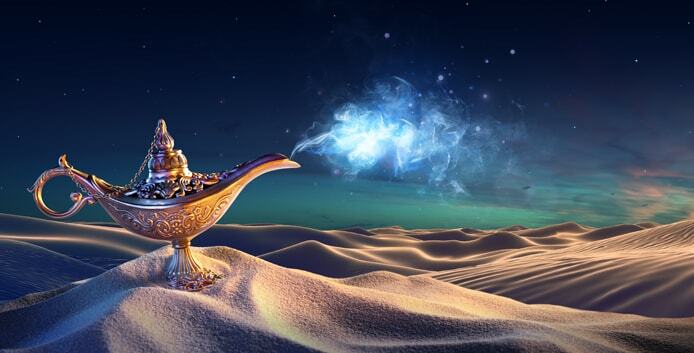 If you read the Story of Akinator, you’ll learn how friends Arnaud and Jeff discovered an oil lamp protruding from a sand dune in a Middle Eastern desert. Rubbing the lamp released the game-playing polyglot, Akinator the Genie. Akinator challenged Arnaud and Jeff to think of a character and allow him to guess the character’s identity, warning that they must answer the genie’s questions accurately or take his place in the lamp. If the men could stump Akinator, he would leave them be; however, he would follow them around and demand to play again and again if he guessed correctly. Unable to stump the remarkable Akinator, yet wanting to do something with their time other than play the genie’s game, they turned Akinator loose on the Web to play his game day and night with any and all visitors. According to legend, Akinator’s lamp was found in a remote desert, and he emerged to challenge humanity to stump him. While a fun tale, the true story of Akinator the Web Genie is shrouded in even more mystery than is implied by the genesis of the fictional lamp. Akinator began as a 2006 game called Devinettor written by Arnaud Megret. 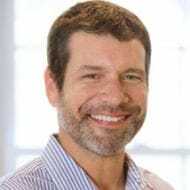 Arnaud renamed Devinettor to Akinator and formed the French company Elokence.com SARL to house Limule — the technology behind Akinator. However it works — which might be genuine genie magic, for all we know — Akinator is eerily accurate in guessing characters real and fictional from across the ages and cultures of the world. It’s ranked #1 in Top Apps for the App Store in France, Switzerland, Germany, Spain, Italy, and Japan, and has sold more than 5 million mobile app downloads worldwide. Eventually, and trying very hard, I was able to stump Akinator. (I won’t tell you how many games I had to play to do that, as it’s kind of embarrassing.) Stumping the genie is clearly possible, and when it happens, you have the opportunity to make him smarter. If Akinator guesses but does so incorrectly, you can click on a “suggest a new name” option and name the actual character to whom you were referring. You’re then asked to enter a few words to describe the character and, optionally, an image of the character. A similar process allows you to contribute a character and questions if Akinator had no guesses at all. Akinator even helps eliminate duplicates in his knowledge list by suggesting characters similar to the one you’re editing or creating. All modifications and additions are held in a moderation queue until approved (probably by Jeff because Arnaud is busy coding). Akinator the Web Genie, is, on the surface, a game, a fun time waster you can play online at work or home, and on any mobile device alone or with a team. But behind the cute story and the fun of playing is a bot that has been running for more than a decade and yet seems far more advanced than many of the current generation of chatbots handling support for many modern organizations. If Akinator had been helping me with my cable bill question, I feel confident that not only would the matter have been resolved, but it would have also been done faster and with more fun than I had with Greg. Jérôme told us the future looks bright for Akinator and consumers. The Genie’s AI is now becoming available on emerging conversational assistant devices similar to Alexa.